The Truman D. Picard Scholarship Program is dedicated to the support of Native American students pursuing a higher education in Natural Resources. The scholarship is through the Intertribal Timber Council and is due March 18, 2011. All requested information MUST be received by the close of business (5:00 p.m.) March 18, 2011 for consideration. For more information, please visit our website www.itcnet.org. Fax (503-282-1274) and e-mail (itc1@teleport.com) submissions are acceptable as long as we receive them by 5:00 p.m. March 18, 2011, and the original is mailed and postmarked by March 18, 2011. Doyon Foundation is seeking candidates for its board of directors. One seat, open to any Doyon, Limited shareholder, will be up for election this December. The term is for three years, expiring in 2013. The election will take place at Doyon Foundation’s annual membership meeting. You can visit our website at www.doyonfoundation.com for more information on how to apply. 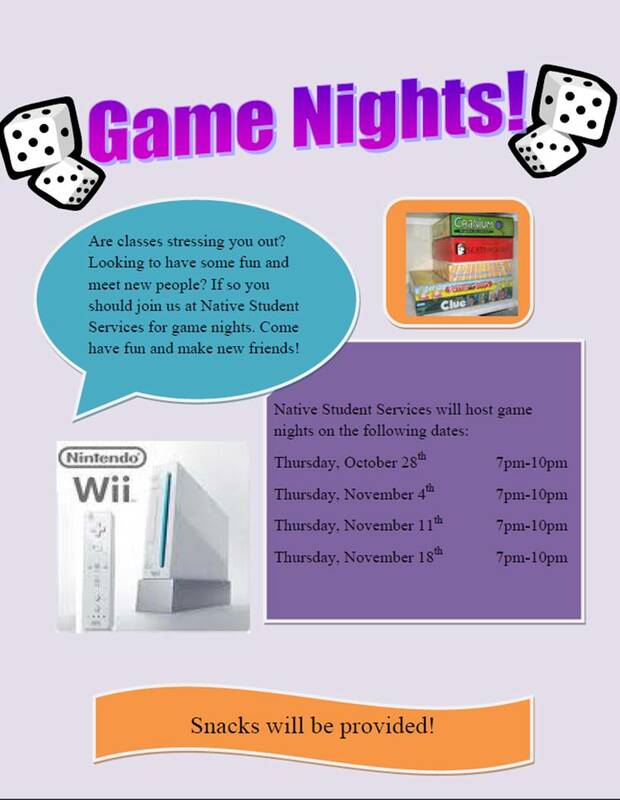 The University of Alaska Anchorage Native Student Services will be hosting Thursday night game nights from 7:00pm-10:00pm starting October 28th and ending on November 18th. They will have all sorts of games including both video and board games and we will be providing snacks so please come join in on the fun! 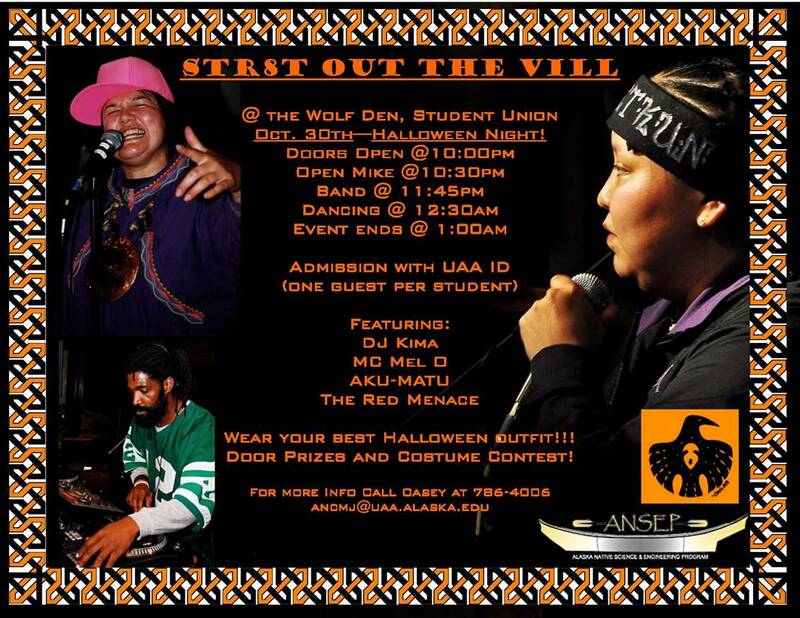 If you have additional questions about the event contact Casey at 786-4006 or anmcj@uaa.alaska.edu. Check out the new 2010-2011 Education Resource Handbook offered by The CIRI Foundation. It contains 55 pages of scholarship, grant, financial aid, and other educational how-to info! Click here to view online. For more information contact Susan Paskvan, Native Language Coordinator, Yukon-Koyukuk School District, 4762 Old Airport Way, Fairbanks, AK 99709, 907-374-3405 or email spaskvan@yksd.com. In this class students will receive 4 days of training on the basic principles of Small Treated and Untreated water system. The students will be given the instruction needed to take the ADEC Level I Operators exam to be administered on the 5th day. Class size is limited to 20 students registration closes November 12, 2010. For More Information: Contact Josh Hanford at 907-841-9988 or via email training@arwa.org. **Doyon Foundation offers short term vocational scholarships to eligible shareholders and children of shareholders. Go to www.doyonfoundation.com for more information on how to apply or contact Tonya Garnett, Scholarship Program Manager at garnettt@doyon.com or 907-459-2049.